We don’t charge any setup fees for our services. You only pay a low monthly fee to get started on your new website. Keeping your website relevant and utilizing the latest technology is important. We will re-design your website every 24 months, for free. We don’t use templates or cookie cutter designs. 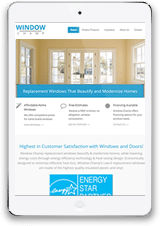 We do custom designs on a proprietary platform that we created for contractors. We get projects done on time and with high quality end-results. New websites typically take 4 to 8 weeks to complete. With our month to month contracts, the risk is on us, so we’re on the hook to keep you happy. Add-on additional website and marketing services for what you need, when you need it. View add-on services. One company for all your needs. From logo design to websites and online marketing, we are your full service resource. 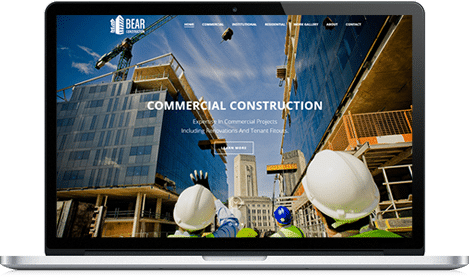 We know construction businesses and marketing inside and out and have been working with contractors all over the world for over 12 years. 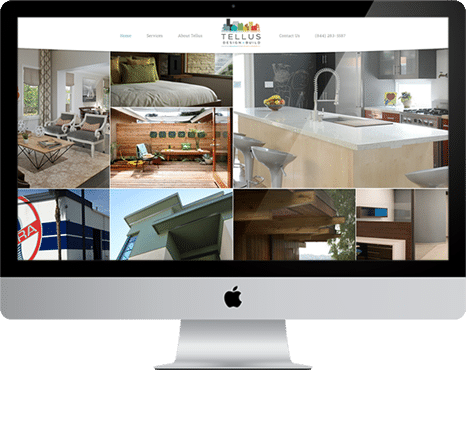 We will design and build you an amazing website that performs above and beyond your expectations. No templates or cookie cutter designs. Your website will be responsive and look amazing on any computer, mobile phone or tablet. The design will auto adjust to any screen size. We provide all the high resolution images needed for your website. We have a massive library of HD photos. We also crop and enhance your work images. When you need to update content on your website we take care of it for you. You can expect content updates to be done within one business day. All our websites include onsite search engine optimization. Without good onsite SEO your contractor website will never rank on search. We properly setup your Google analytics, goal tracking and search console. We even train you on how to analyze your websites performance. We include SSL on your website. We run extensive security, spam and hacker protection software on your website. Your website will be up and running at all times. We take regular backups of your website and can restore it with the click of a button. We keep all your website software, plugins and CMS updated at all times. Your website will be hosted on our enterprise hosting servers. We can scale your hosting resources as needed and your website will always run lightning fast. With extensive experience in creative branding we offer the best quality logo design services at the most competitive prices. View our logo work. With our SEO add-on services we will implement a holistic SEO marketing strategy for you and work hard to get you to the first position on Google for your targeted keywords. Contractor Gorilla is an Adwords Certified partner. When you need a professional to setup and manage your PPC advertising, we can help you maximize your pay-per-click advertising. With our blogging add-on service we will write and publish high-quality articles on your blog, which will allow your business to establish itself as a thought leader in your industry. Don’t have the time to write the copy for your new website, no problem. Our professional copywriters will write all the content for as little as 18.0 cents per word.